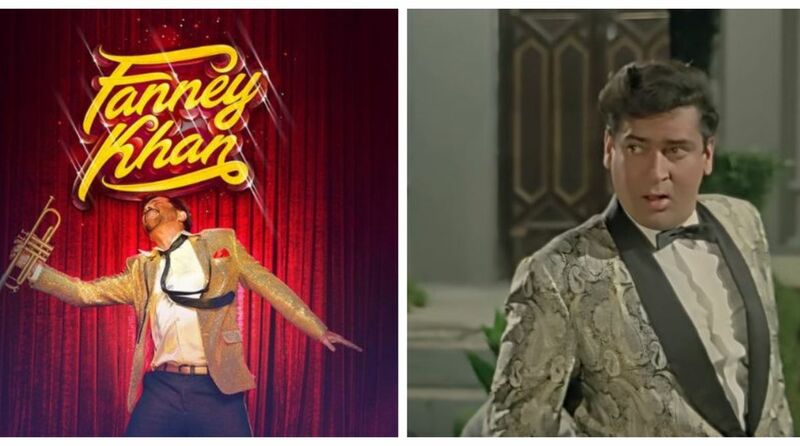 The classic song ‘Badan pe sitare…’, created by the legend, Mohammed Rafi, finds a place in Anil-starrer Fanney Khan. The classic song ‘Badan pe sitare…’, created by the legend, Mohammed Rafi, finds a place in Anil Kapoor-starrer Fanney Khan. On the music icon’s 38th death anniversary, actor Anil Kapoor unveiled the recreated version of the song. The original song, picturised on actress Vyjayanthimala and late veteran actor Shammi Kapoor, featured in the 1969 film Prince. Also read: Salman Khan vows to ‘never’ work with Priyanka Chopra? The 61-year-old actor is playing the role of an orchestra singer, who worships Mohammad Rafi and Shammi Kapoor as his Gods and sings their songs. With the grooves, the dazzling attire and an iconic trumpet in his hand, Anil Kapoor impressively bedazzles in the character of an orchestra player. His energy matches the song and reminds us of the originally filmed actor, Shammi Kapoor. Fanney Khan is the Hindi adaptation of the Dutch film Everybody’s Famous. Co-produced by Rakeysh Omprakash Mehra and directed by Atul Manjrekar, the film also features Aishwarya Rai Bachchan, Divya Dutta, and Rajkummar Rao, with Pihu Sand playing a key role.